There is always some overlap when it comes to the live tournament schedule around the world, but I cannot recall a more active time for poker tournaments than the past week or so, and the coming week looks to be just as busy. In addition to the smaller tournaments and tours taking place in London, Macau, and elsewhere across the globe, the big tournament series that are going on right now are the WPT Malta Main Event, the WSOPC Bossier City series, and the Borgata Poker Open. Because of the competition for players, all three series have seen attendance impacted slightly, but until the final numbers are in it will be hard to determine which events were the winners and losers in this current cycle. 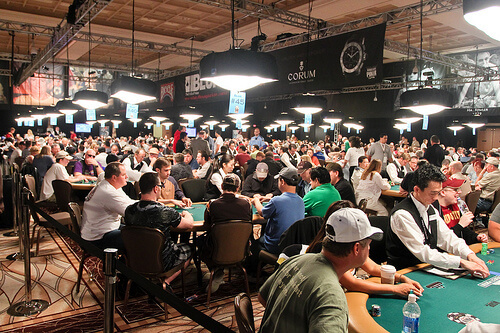 The WSOPC is one of the preeminent tours for mid-level tournament players, hosting events with buy-ins ranging from about $300 up to the $1,500 Main Events. So far the preliminary events have seen solid turnouts (despite the competition around the world) and now with the Main Event looming, scheduled to kick-off on Saturday, September 22nd, the Horseshoe Bossier City Casino is likely to see even more players turn up. There are a total of 12 events in the series that will award a WSOPC ring, with plenty of side events including a seniors and ladies tournament. Always one of the best attended poker tournaments of the year, the $3,500 buy-in Borgata Poker Open Main Event is the culmination of the week long tournament series in Atlantic City. And as usual, the big names came out in full force for the event.